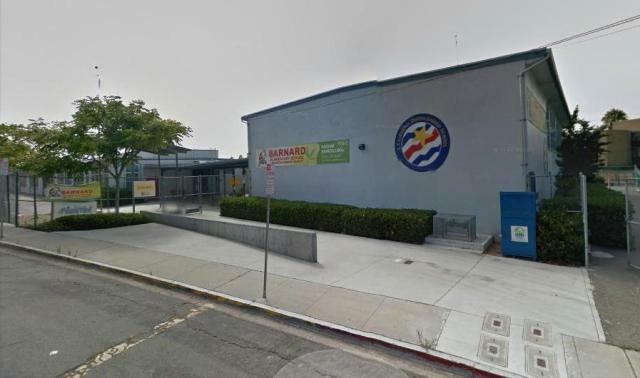 The leadership of the San Diego Unified School District voted Tuesday night – October 9th – to sell the property of the former Barnard Elementary School in the Midway area next to Ocean Beach. The property had brought in a high bid of $16.5 million. The sale was part of their plan to balance this year’s budget. The School Board voted to sell the Barnard property along with another undeveloped parcel in Paradise Hills that had brought in $3.1 million at auction. On June 22nd this year, the Board had voted to place the Barnard site and six other so-called “surplus properties” on the market. District staff had drawn up the 2012-13 budget with plans to sell the seven unused district parcels to generate $25 million. Escrow is expected to open in late October or early November, with March 2013 planned for the close of Escrow. At Tuesday’s meeting, Board members were presented with the highest bids for three district parcels: the Barnard site, the former school site in Mission Beach – which also brought in a high bid of $16.5 million, and the Paradise Hills parcel. Staff was then informing the Board that with the sale of the three, the District was expected to net about $33 million. board trustees Scott Barnett and Shelia Jackson blocked the sale of all three parcels. Instead of a simple majority, the sales required a 4-1 vote. Jackson proposed selling just the Barnard Elementary and Paradise Hills sites, which received the necessary four votes. To do projects that would make them money and meet the community character and bring us ongoing long-term revenue streams. Yeah, well…once the property is sold off, it’s gone. It might be better to lease it, thereby retaining control and a revenue stream into the future.